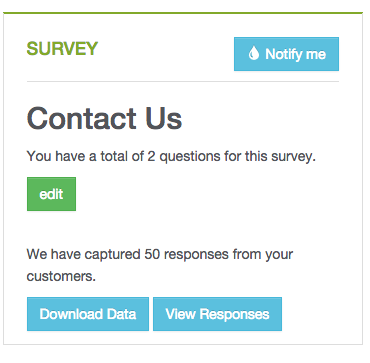 To subscribe to notifications on specific customer activities, navigate to the dashboard of the item you wish to be notified about (a survey, for example) and click Notify Me (see example below). 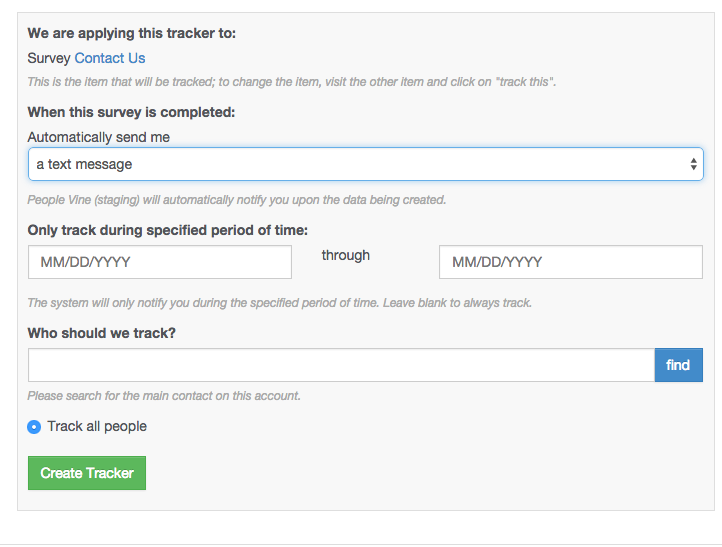 Then you will be able to choose how you wish to be notified (email or text message), set a specific time frame (e.g. during a particular marketing campaign), and even choose specific customers from your CRM database.